Min Wu is a Professor and a Distinguished Scholar-Teacher at the University of Maryland, College Park. 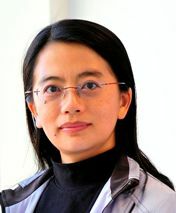 She did her undergraduate studies at Tsinghua University in Beijing, China, and received her Ph.D. degree in electrical engineering from Princeton University in 2001. Since 2001, she has been on the ECE faculty of the University of Maryland, College Park, and leads the Media and Security Team (MAST), with main research interests on information security and forensics and multimedia signal processing. She has published two books and about 175 papers in major international journals and conferences, and holds 10 U.S. patents. She coauthored several papers being recognized by paper awards from the IEEE Signal Processing Society, EURASIP, and ACM. She received an U.S. NSF CAREER Award in 2002, a MIT TR100 Young Innovator Award in 2004, an ONR Young Investigator Award in 2005, a Computer World "40 Under 40" IT Innovator Award in 2007, the IEEE Mac Van Valkenburg Early Career Teaching Award in 2009, a University of Maryland Invention of the Year Award in 2012, and the IEEE Distinguished Lecturer recognition in 2014. She has served as Vice President - Finance of the IEEE Signal Processing Society (2010-2012), Chair of the IEEE Technical Committee on Information Forensics and Security (2012-2013), Technical Program Co-Chair (2013) and General Co-Chair (2017) of the IEEE International Conference on Image Processing (ICIP), and Founding Chief Editor of IEEE SigPort initiative (2013-2014). She has served as Editor-in-Chief (2015-2017) for the IEEE Signal Processing Magazine - one of the top impact journals in electrical and computer engineering worldwide. She is an IEEE Fellow and an AAAS Fellow for contributions to signal processing, multimedia security and forensics. Dr. Min Wu received the B.E. degree in electrical engineering -- automation and the B.A. degree in economics from Tsinghua University, Beijing, China, in 1996 (both with the highest honors), and the M.A. degree and Ph.D. degree in electrical engineering from Princeton University in 1998 and 2001, respectively. She was with NEC Research Institute and Signafy, Inc. Princeton, NJ, in 1998, and with the Media Security Group, Panasonic Information & Networking Laboratories, Princeton, NJ, in 1999. Since Fall 2001, she has been on the faculty of the Electrical and Computer Engineering Department and the Institute of Advanced Computer Studies at University of Maryland, College Park, where she is now a Professor and University Distinguished Scholar-Teacher. She was a Visiting Associate Professor at the Electrical Engineering Department and the Information Systems Laboratory of Stanford University in 2007-2008 and a Visiting Professor at the Johns Hopkins University in 2016. She was an ADVANCE Professor in 2014-2015 and currently an ADVANCE Faculty Fellow to provide mentoring and contribute to the University's diversity and inclusiveness mission. Dr. Wu leads the Media and Security Team (MAST) at the University of Maryland, with main research interests on information security and forensics and multimedia signal processing. She has co-authored two books and about 175 refereed journal and conference publications (about 10950 cites and h=53 per Google Scholar). She also holds 10 U.S. patents on multimedia security and communications (referenced by over 820 other patents and patent applications). The journal and conference publications that she coauthored have been honored by paper awards from IEEE, ACM and EURASIP. She also received a NSF CAREER award in 2002, a TR100 Young Innovator Award from the MIT Technology Review Magazine in 2004, an ONR Young Investigator Award in 2005, a Computer World "40 Under 40" IT Innovator Award in 2007, an IEEE Mac Van Valkenburg Early Career Teaching Award in 2009, and the Daily Record 2012 Innovator of the Year Award. She was elected an IEEE Fellow in 2010 and an AAAS FEllow in 2017 for contributions to signal processing, multimedia security and forensics, and was selected to serve as an IEEE Distinguished Lecturer by the IEEE Signal Processing Society. Dr. Wu has taken on a number of volunteer and leadership activities with IEEE and its Signal Processing Society (SPS), one of the largest professional organizations advancing technologies for humanities. Her IEEE and SPS volunteer activities are as follows: SPS Vice President-Finance (2010-2012); Corresponding Member, IEEE TAB Finance Committee (2012); Chair, SPS Information Forensics and Security TC (2012-2013); SPS Board of Governors (2010-2012 elected as an officer, 2016-2018 elected as a member-at-large); Editorial Board, IEEE Signal Processing Magazine and IEEE Journal of Selected Topics in Signal Processing (2012-2014); Area Editor, IEEE Signal Processing Magazine, leading the creation and editing of the monthly Inside Signal Processing E-Newsletter (2007-2010); Associate Editor, IEEE Transactions on Image Processing (2009-2011), IEEE Transactions on Information Forensics and Security (2008-2011) and IEEE Signal Processing Letters (2005-2007); Member, Big Data Special Interest Group (2015-present), Image, Video and Multidimensional Signal Processing Technical Committee (2007-2012), Multimedia Signal Processing Technical Committee (2002-2005 and 2007-2009), Information Forensics and Security Technical Committee (2008-2014), and multimedia-related TCs of the IEEE Communications Society and IEEE Circuits and Systems Society; General Co-Chair, ICIP 2017 - Beijing; Technical Program Co-Chair, ICIP 2013; Finance Chair, ICASSP 2007; Publicity Chair, ICME'03; and Founding Chair, IEEE Signal Processing Washington Chapter. Dr. Wu was instrumental in developing the SPS Travel Grant program to support students and members from developing regions to attend SPS conferences, which has already benefited hundreds of students over the past several years. She has been chairing the ChinaSIP Steering Committee as an SPS' outreach effort in China, which was successful held in Beijing (2013), Xi'an (2014), Chengdu (2015), and two forum editions in Wuhan (2016) and Beijing (2017). She was the Founding Chief Editor of an online repository initiative SigPort (2013-2014); and has served as Editor-in-Chief of the IEEE Signal Processing Magazine (2015-2017), bringing this highly influential technical publication in electrical engineering and information technologies to an all-time high in citation impact. More information can be found at her research page and through her Curriculum Vitae (PDF) .